Christmas is a time when families gather around and spend quality time together. Those families need a perfect place to celebrate the holidays together. Here is a list of those places and maybe your family will be one of those families that spend time there. The Mission Inn’s Festival of Lights is a six-week long extravaganza that features one of the largest holiday light collections in the nation. The Festival of Lights is an annual gift to the community from the property owners, Duane and Kelly Roberts, who saved the historic landmark in 1992. Each year, it attracts 500,000 people from around the world, which makes it one of the largest light collections. Not only can visitors experience the spectacular decorations and designs, but they can also enjoy many other attractions as well, including Santa Claus, street performers, live music, a local art market, horse-drawn carriage rides, rides on a vintage carousel and a giant Ferris wheel, unique experiences with LED swings and seesaws, and much more. You can find this place in Riverside, Ca. Robolights is an 8.4 million light display, along with towering robots Christmas scenes constructed from discarded electronics. Each year, Kenny Irwin Jr. adds more and more into the estate, which makes the place even more exciting each year. It is a great place to take your kids since it is a place built from imagination. Robolights is held in Palm Springs, Ca. Although Descanso Gardens holds an all year event, they take it up a notch and go all out during the holidays. 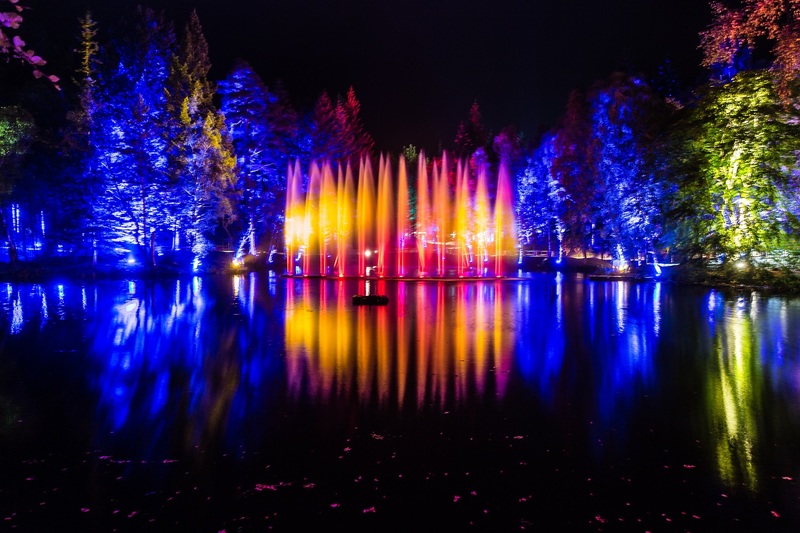 The Enchanted Forest of Lights is an interactive nighttime experience that is fun for families. It features a one-mile walk through unique and beautiful Christmas lights, unlike anything you’ve seen before. Head to Los Angeles, CA to experience an enchanted time with your family and friends. Each year, in Newport Beach, numerous people participate in the annual Newport Beach Christmas Boat Parade, an event where residents design their boat to join the four-day parade. 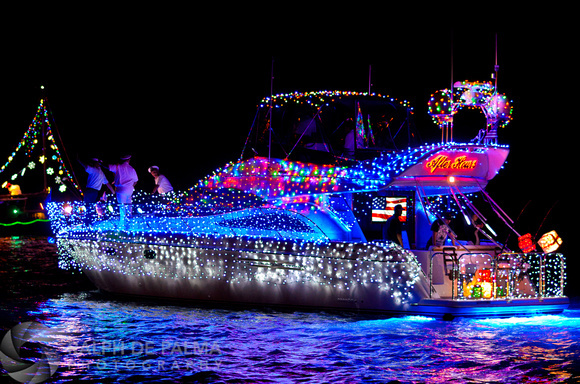 All participants do their best to make their boat stand out with amazing lights and decorations. The cost is not what matters, it is the joy participants feel when decorating their boats that matters. The parade kicks off on Wednesday, December 19th with a fireworks show and Albert Pujols as the Grand Marshall. It closes Sunday, December 23rd with a fireworks show at the conclusion of the parade. The parade begins at 630 p.m. each night. The LA Zoo offers a self-guided 60-to 90-minutes walk through an area filled with dynamic lights, animal-themed displays, projections, and Christmas music. New features and nightly live performances will be there for you to enjoy. You will be able to see real reindeer and learn about them from expert reindeer keepers as well. LA Zoo Lights is one of the perfect places to visit with your family. Do you have any places you enjoy during the holiday season? Share them in the comments below!